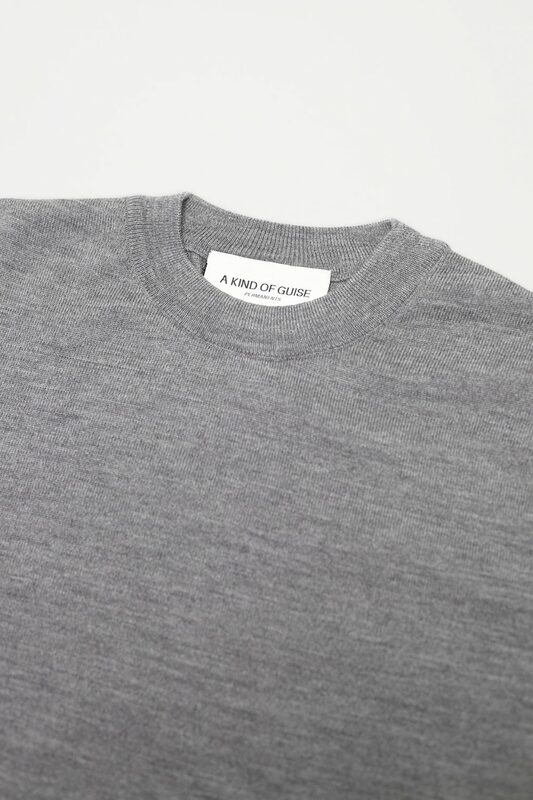 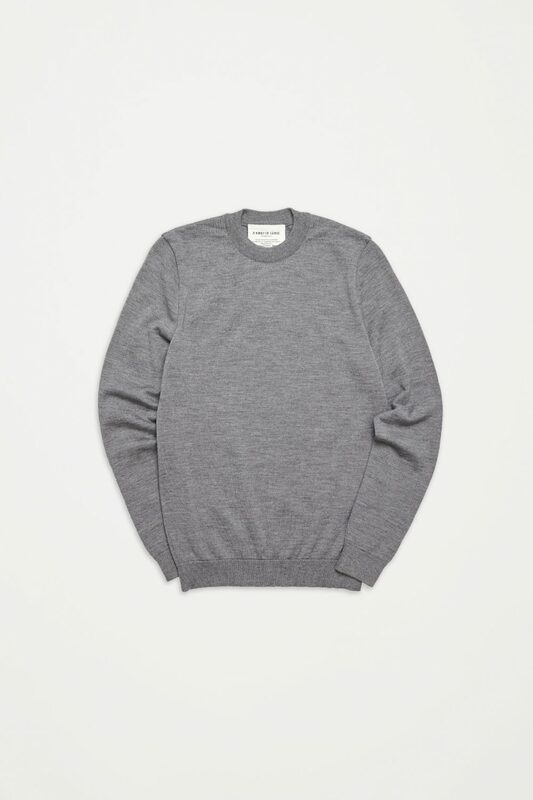 Classic crew neck jumpers in a finely knitted merino wool. 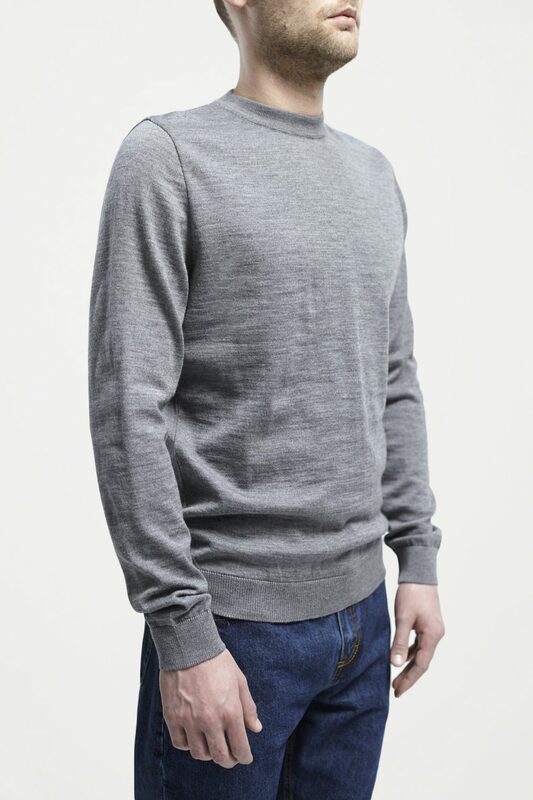 Has rib-knit neck, cuffs and hem. 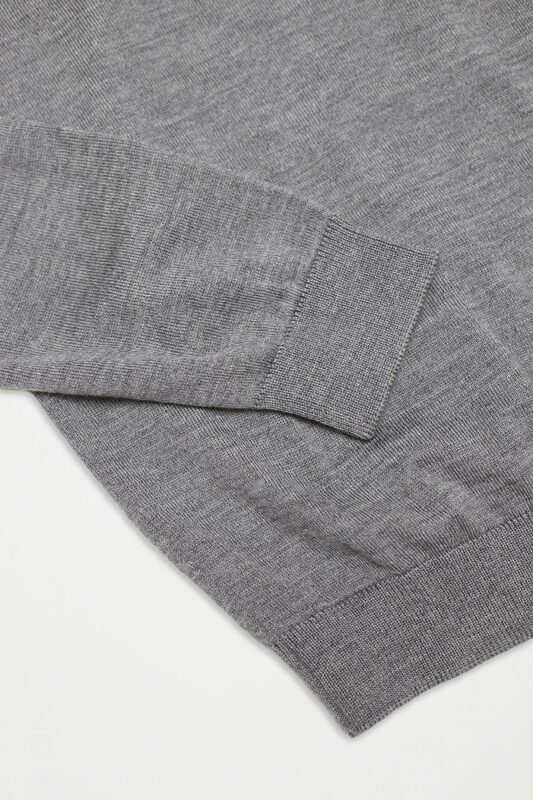 Features a neat woven ribbon detail, lining the neck.